Welcome to the September 15, 2017 edition of ACM TechNews, providing timely information for IT professionals three times a week. Researchers at IBM say they have conducted breakthrough experiments using a method that could eventually enable quantum computers to perform complex chemistry and electromagnetism calculations that are beyond the capabilities of today's most powerful modern supercomputers. The team employed a quantum computer equipped with a new algorithm to extract the lowest energy state of a large molecule of beryllium hydride. The machine the researchers used included seven quantum bits (qubits) generated from supercooled superconducting materials. Six qubits were used to plot out the energy states of the six electrons in the molecule, which the quantum computer used to run a calculation hundreds of times, with an average used to arrive at a final solution. IBM's Jerry Chow says the researchers now are working to reduce the time it takes to run each calculation from seconds to microseconds, as well as reducing the computer's error rate. The U.S. Defense Advanced Research Projects Agency (DARPA) on Wednesday pledged to invest $500 million to $800 million in research to develop post-Moore's law technologies that will benefit military and commercial users and contribute crucially to national security between 2025 and 2030, under the Electronics Resurgence Initiative (ERI). DARPA has developed six new programs as part of ERI, each of which focuses on one area of ERI research, including materials and integration, circuit design, and systems architecture. "If we see that we're getting broad resonance within the commercial industry and within the [Department of Defense] industry, and unique partnerships are forming and/or unique capabilities are popping up for national defense, it will continue with the expectation or even grow," says DARPA's Bill Chappell. With ERI's official launch, DARPA says it "hopes to open new innovation pathways to address impending engineering and economics challenges that, if left unanswered, could challenge what has been a relentless half-century run of progress in microelectronics technology." 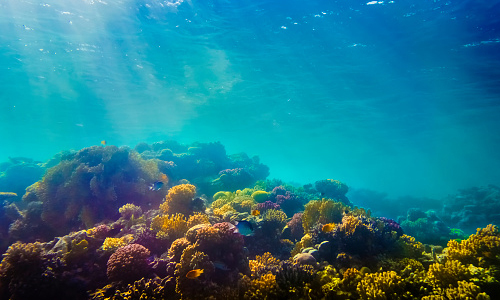 Researchers at King Abdullah University of Science and Technology (KAUST) in Saudi Arabia say they have developed a flexible underwater wireless video system. "We first built the real-time video transmission system and then integrated it into an [underwater wireless optical communication (UWOC)] setup," says KAUST's Abdullah Al-Halafi. "Although the design and development of the system were very challenging, its ability to be programmed enabled us to reconfigure the system into several different arrangements." Al-Halafi notes the new UWOC system can stream high-quality live video of upgraded quality due to bandwidth enhancements. The team improved the accuracy of the detected signal by first applying quadrature amplitude modulation to boost the representation of information carried by the signal for a given bandwidth, and then they compared it to phase-shift keying while optimizing the transmission for each configuration. "Our system produced the highest-quality video streaming so far achieved in UWOC systems and provides a reconfigurable and cost-effective communications system for underwater live video streaming," Al-Halafi says. Researchers at the University of Edinburgh in Scotland have conducted a security analysis of two commonly used Fitbit wearable fitness trackers, which revealed a technique for intercepting messages transmitted between fitness trackers and cloud servers, where their data is sent for analysis. The team says this method could enable bad actors to access personal information and generate bogus activity records; they note the data also could be used to defraud insurance companies. The researchers demonstrated a way to bypass the end-to-end encryption designed to protect tracker data by disassembling the devices and modifying information stored in their memory. 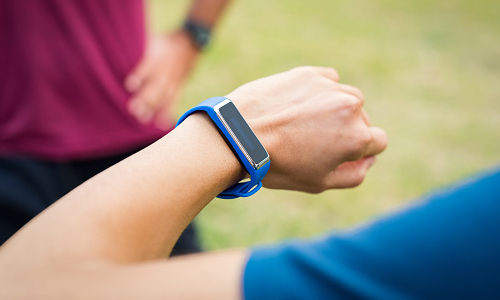 The team has developed guidelines to help manufacturers eliminate similar flaws from future system designs, while Fitbit has developed software patches to improve its devices' privacy and security. Cryptographers Tanja Lange at the Eindhoven University of Technology in the Netherlands and Daniel J. Bernstein at the University of Illinois at Chicago warn of the downside to quantum computers. "An attacker can record our secure communication today and break it with a quantum computer years later," Lange says. "All of today's secrets will be lost." Lange and Bernstein note Shor's algorithm is capable a breaking all cryptographic methods that are currently employed to establish secure Internet connections. The researchers say candidates for post-quantum cryptography can generally be categorized as either very well understood and confidence-inspiring, but demanding significant bandwidth, or more convenient to use while delivering more dubious security. "Fairly recently we're seeing an uptake of post-quantum cryptography in the security agencies, e.g., the [U.S. National Security Agency], and companies start demanding solutions," Lange says. She emphasizes the importance of bolstering cryptography research in light of these developments. The Massachusetts Institute of Technology's (MIT) Urban Risk Lab has launched the free, open source RiskMap.us platform to help residents and government officials track hurricane-related flooding in Broward County, FL, in near-real time. "This project shows the importance that citizen data has to play in emergencies," says MIT research scientist Tomas Holderness, who led the system's design. "By connecting residents and emergency managers via social messaging, our map helps keep people informed and improves response times." 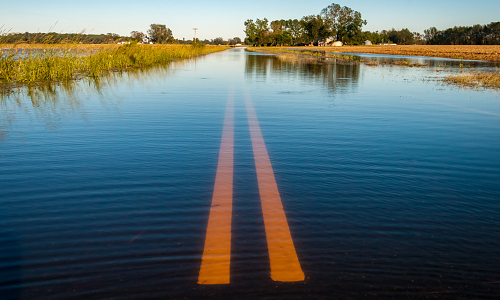 Users can employ social media to submit reports by transmitting a direct message to the Risk Map chatbot, which replies with a one-time link via which they can use to upload information including location, flood depth, photos, and descriptions. The MIT team plans to extend the map to additional counties and add more social media platforms in the near future. Cornell University's Department of Computing and Information Science recently launched a series of discussions on the importance of technological advancements and the law in terms of surveillance, privacy, and bias. Princeton University professor Arvind Narayanan was the first speaker of the series, presenting his research on commercial Web surveillance. Narayanan said commercial surveillance involves techniques used by companies to secretly and legally trace the Internet activity of users. Many companies use a method called canvas fingerprinting, which draws a unique, invisible image on a loaded page. The hidden pattern of pixels is read back as a series of bits, which will be different for every user and can be used to track Internet activity. Narayanan notes the data can be used to tailor the advertisements or sponsored page links that are displayed. His team previously demonstrated that nearly all browsing history can be de-anonymized and traced to specific users. Researchers at Carnegie Mellon University (CMU) suggest controlling access to third-party libraries will help limit the undesired exposure of personal information by smartphone applications. "Making decisions about what information to share with each library, rather than just what each app should share, dramatically reduces the number of decisions a user has to make to protect privacy," says CMU professor Yuvraj Agarwal. The team analyzed the use of 11,000 popular Android apps by 1,300 people and found the top 30 libraries accounted for more than half of sensitive data taps. The researchers developed the Protect My Privacy for Android app so users can make privacy decisions based on whether the app, or one or more included third-party libraries, should handle access to their sensitive data. The team was to detail their research this week at the ACM International Joint Conference on Pervasive and Ubiquitous Computing (Ubicomp 2017) in Hawaii. University of Pennsylvania (Penn) researchers are using social media to measure mental health across the U.S., as part of the Penn World Well-Being Project (WWBP). The researchers analyzed millions of Facebook and Twitter posts to predict geographic variations in personality, life satisfaction, and mortality rates. One goal is to use social media to measure and identify the components of emotional well being, such as happiness, relationships, and quality of life, says Penn professor Lyle Ungar. The researchers use language-processing algorithms to correlate social media posts with emotion and personality. The team studied 75,000 Facebook profiles and used certain phrases and keywords to determine the personality, gender, and age of the users. The WWBP used this data to create the Well-Being Map, an interactive demographic map of the U.S. that provides county-level data on well-being, depression, trust, personality, health, and socioeconomic factors. Researchers at the Agency for Science, Technology and Research (A*STAR) in Singapore have developed a computational tool for faster and more reliable screening and diagnosis of vascular and neurological conditions. The software automatically segments filamentary structures such as retinal blood vessels and neurons in various biomedical images. The researchers note similar computer programs have been used to automate the segmentation process, and although these programs reduce human error, their performance is normally optimized to specific tasks, limiting their use. In order to widen the scope of these programs, the A*STAR researchers, in collaboration with researchers at the Beijing Institute of Technology in China, developed an algorithm that addresses segmentation as a general problem. The researchers designed a two-step algorithm that sequentially extracts structured and contextual information from experimental data. A*STAR's Li Cheng says the algorithm represents a stepping stone in efforts to cure eye-related problems and decipher the structure and inner working of neuronal diagrams. 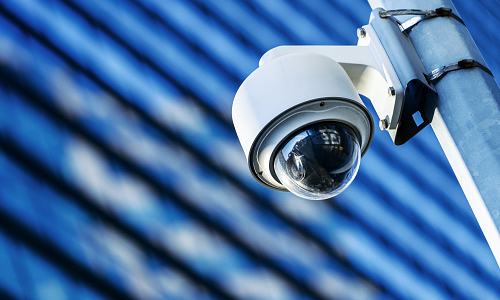 Researchers at the University of Texas at Austin (UT Austin) have found access to more personal data enables police to amplify existing surveillance practices. The researchers interviewed and observed 75 police officers and civilian employees of the Los Angeles Police Department to identify key ways law enforcement has implemented in-house and privately purchased data on individuals to assess criminal risks, predict crime, and monitor communities. One of the most transformative aspects of big data on policing is the amount of information police can access on individuals, says UT Austin's Sarah Brayne. In addition, big data can help send real-time alerts to police about specific individuals such as location, based on license plate tracking, enabling monitoring of a greater number of people at once. "It's this combinatorial power of using different things in conjunction with one another that grants authorities a level of insight into individuals' lives that previously would have required a warrant or one-on-one surveillance," Brayne says. Rigetti Computing researchers outline three steps that must be achieved over the next five years to ensure that the first quantum computers are programmable, starting with developing hybrid classical/quantum processors. "Quantum programmers must care about practical details such as noise models and exact counts of logic gates," the researchers note. "They will have to decide which [quantum bits] in the computer to use and how to deal with ranges of operational fidelities and low-level precisions that are foreign to most modern programmers." The second step is to build and employ open source software for quantum computing applications. "Hybrid software needs to handle [many] behaviors simply enough for programmers to be able to code easily," the researchers say. The third step involves cultivating a quantum coding community to support an ecosystem of software via industry internships and other measures, which the researchers say should be interdisciplinary, inclusive, and focused on applications.